Once again, Santa and Mrs. Claus arrived in spectacular fashion on Saturday when they chugged up the Petaluma River in a Jerico tugboat. The sun was shining on the water, the temperature was almost balmy, and when the tug sounded its horn heralding Santa’s arrival at the Turning Basin, I think even those of us who haven’t sat on Santa’s lap for many, many years felt their heart beat a little faster in anticipation. 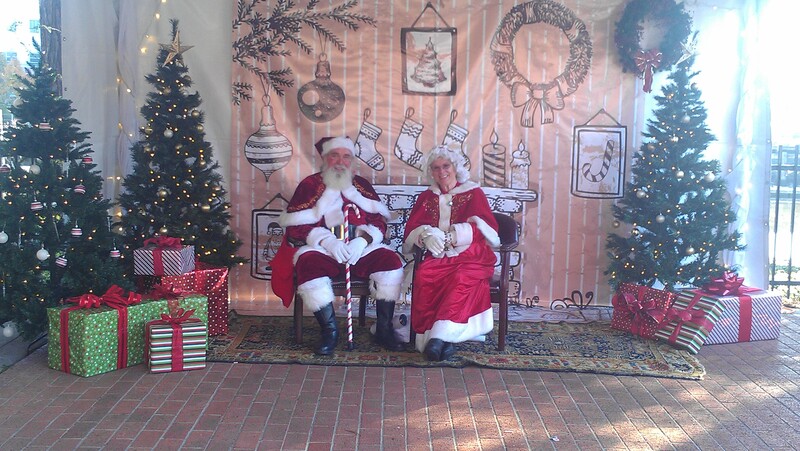 Thanks to a huge amount of support from Basin Street Properties, Santa and Mrs. Claus were able to greet children in a decorated tent outside of Tap’s new location in River Plaza shopping center. I’ve worked this event for a couple of years and while the kids are always adorable, sometimes they are not that eager to be face-to-face with a stranger in a big red suit and a full beard. I’ve seen some tense moments between parents when dad is determined to get the perfect photo for their Christmas card but mom doesn’t want to set off a tantrum with their 2 year-old that could take hours to recover from. But perhaps because Santa and Mrs. Claus weren’t in a stuffy room or crowded mall setting, it relieved some of the pressure on the families waiting in line to sit on Santa’s lap and have their photo taken. Everyone was extremely patient and I don’t think I saw any toddlers burst into tears and cling to mom for dear life when they realized that they were being handed off to Santa. 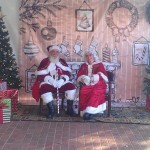 Plus, Petaluma has the best Santa and Mrs. Claus this side of the North Pole. Sweet, genuinely interested in what the kids have to say, and willing to accommodate the families in whatever way works for their photo. The day will stand out for me as a picture perfect Christmas memory. And thanks to John O’Hara at the Argus for taking such great photos. See them here. This entry was posted on Sunday, December 1st, 2013 at 6:48 pm	and is filed under Christmas, Community. You can follow any responses to this entry through the RSS 2.0 feed. You can leave a response, or trackback from your own site.